Devoll is a creative responsive WordPress theme for many purposes, it could be used as company, design studio, business or portfolio websites. 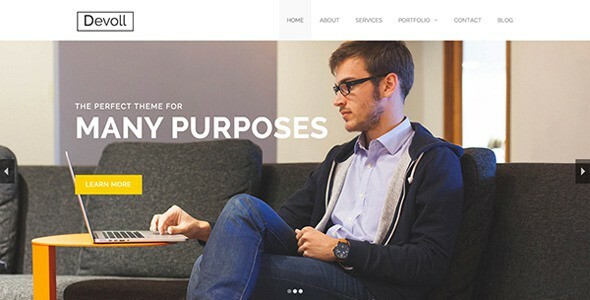 It is an beautifully design by honryou on Themeforest. Item Reviewed: Devoll Responsive Multipurpose WordPress Theme 9 out of 10 based on 10 ratings. 9 user reviews.